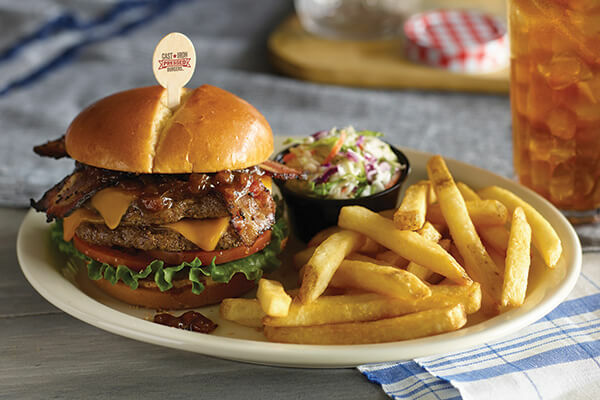 The Royer Corporation team is excited for the opportunity to partner with Cracker Barrel on one of their newest menu items, Cast Iron Sandwich Platters! Each new burger will be sporting a custom wooden sandwich pick from Royer Corporation. The new Cast Iron Burgers have been promoted in a recent video we came across on the Cracker Barrel Facebook page. Check it out below and be on the lookout for the custom printed picks! From local, neighborhood restaurants to iconic chains like Cracker Barrel, the Royer team takes pride in earning the trust of all clients, big and small. The next time you make a visit to your local Cracker Barrel Old Country Store, be on the lookout for the Royer-made custom picks in action. If you want more information about our swizzle sticks and picks click here!